Glitter tattoos are the latest, most exciting invention in body art. The artist hand-paints designs onto the skin, using a special cosmetic-grade adhesive. Then multi-coloured, ultra-fine, glitter is applied to the adhesive. The effect is a stunning, shimmering design that sparkles under electric or natural light. It is the best choice for event organizers who need to dazzle their corporate, fund-raiser or private party guests with something that has never been seen before. 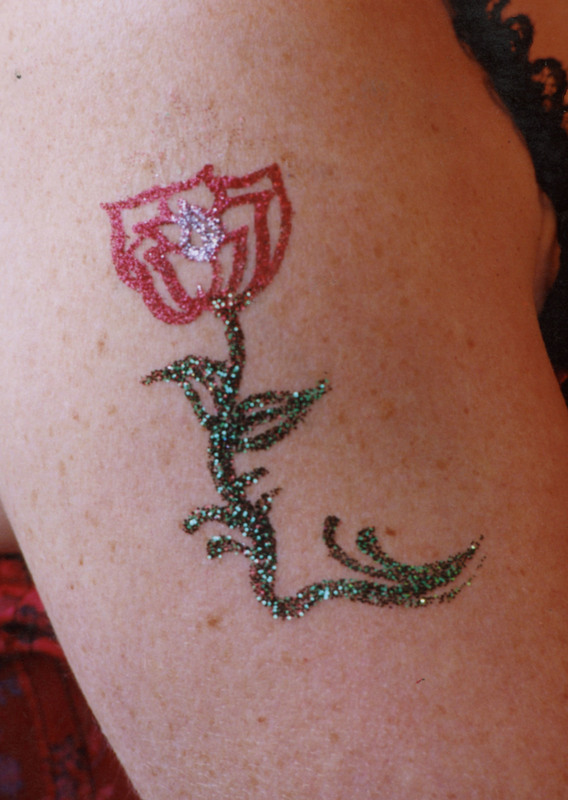 Glitter tattoos never fail to impress even the toughest audience - adults or children. They are also a favorite for grads, fashion shows and productions needing that "something different". Glitter tattoos are hand-drawn, so any size or style of image can be created, allowing the ultimate in flexibility. We can tailor images to your event theme or your guest. 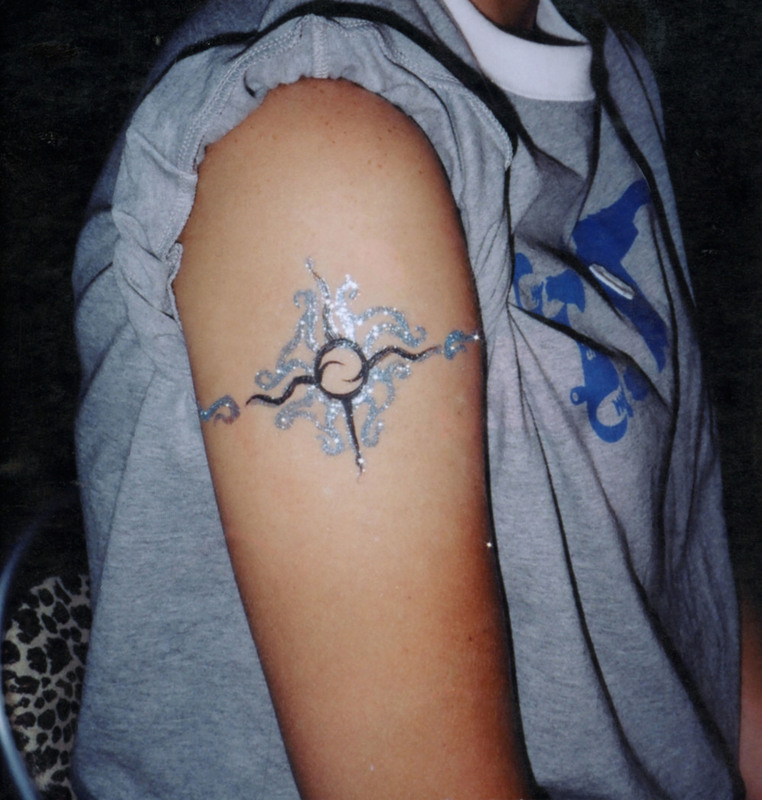 Glitter tattoos take between 5 and 12 minutes each, depending on their size.